Although the bladder is an abdominal organ in children, bladder trauma is a relatively rare event, occurring in approximately 5 % - 7 % of pediatric patients assessed for trauma (McAleer et al. 1993). Pelvic fracture, and other concomitant injuries, is associated with bladder rupture in more than 95% of cases. Blunt trauma, secondary to motor vehicle collisions, is the most common cause of bladder rupture in both the pediatric and adult trauma populations (Hochberg and Stone 1993). Depending on the nature of the trauma, bladder rupture can occur either in an intraperitoneal or extraperi-toneal fashion and, similar to the management in adults, treatment in children is dictated by differentiating these two types of underlying injuries. Intraperitoneal rupture is usually secondary to direct lower abdominal trauma at the level of the bladder dome. Children typically present with severe lower abdominal pain and an inability to void. Blood at the meatus or gross hematuria is present in more than 95%-100% of cases (Carroll and McAninch 1984). Ex-traperitoneal rupture must be considered in those presenting with hematuria and concomitant pelvic fractures. The bladder injury may be secondary to shearing forces created from disruption of the pelvic ring or direct laceration of the bladder due to the displacement of bony fragments (Cass and Luxenberg 1989). formula (age +2) x 30 ml, as a guide. Indirect cystography should not be performed, as it is an unreliable technique for the evaluation ofbladder rupture (Haas et al. 1999). Intraperitoneal bladder rupture will easily be identified by the presence of contrast outlining loops of bowel within the peritoneal cavity (Fig. 8.28). 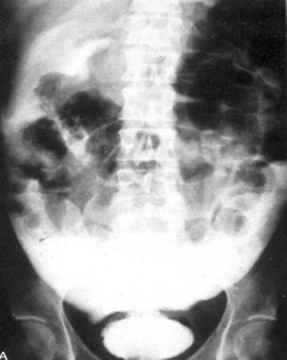 Extraperitoneal lacerations are typically identified by flame-shaped collections of contrast in the space of Retzius and pelvis (Fig. 8.29). 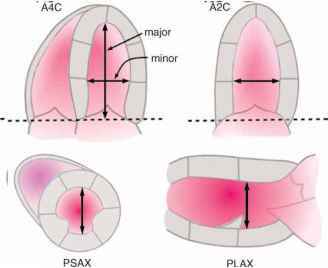 omy and repair of the laceration using multiple layers of absorbable suture. Urinary diversion and antibiotic prophylaxis are continued for at least 10-14 days. Postoperative cystography will determine adequacy of the repair and dictate at which point the catheters may be removed and trials of voiding ensue. Most extraperitoneal lacerations respond well to catheter drainage and a trial of observational therapy. Antibiotic prophylaxis has been shown to reduce potential infective complications for the duration of urinary diversion (usually 10-14 days) (Kotkin and Koch 1995). 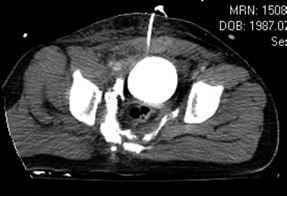 Indications for repair of an extraperitoneal injury include clot retention, injury involving the bladder neck, the presence of an intravesical bony fragment, concomitant rectal or vaginal lacerations, and any patient presenting with penetrating trauma.